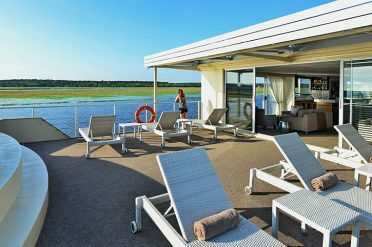 Awesome safaris, stunning game filled deltas, forests and extensive salt pans. 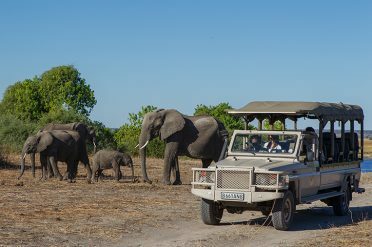 Experience some of the best game viewing in Africa on one of our sensational Botswana safaris and tours. 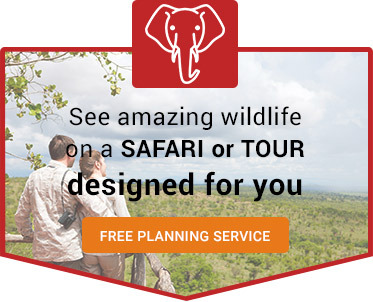 Talk to an Africa expert to include a safari or tour in a holiday designed for you. 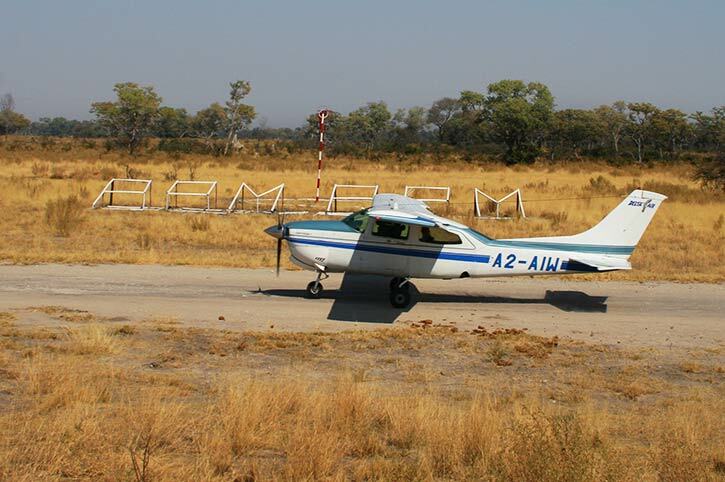 You can include our shorter safaris and tours in a longer tailor made Botswana holiday. 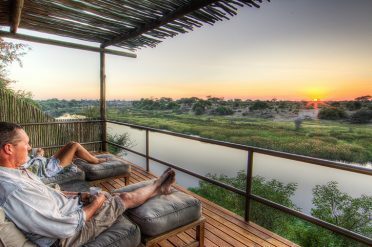 speak to an Africa Expert to start planning the holiday that's right for you. 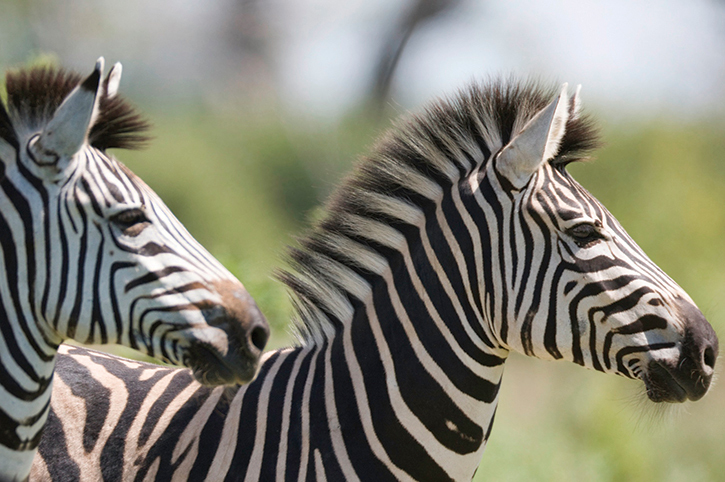 Located in the far North East, the park is a mosaic of grass and woodland bordered by the Chobe River. 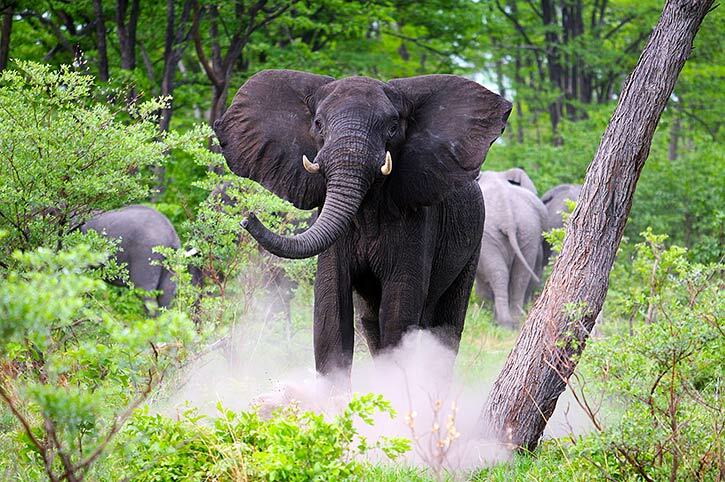 Here a fantastic concentration of wildlife can be found, most noticeably an elephant population numbering in the thousands. 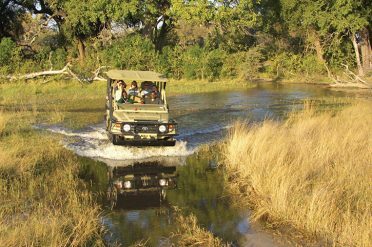 Safaris are taken by 4WD and boat. 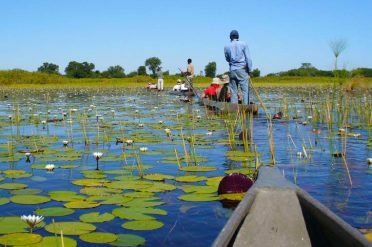 Savuti is a remote region in the south west of Chobe National Park and known for its ‘fickle’ marsh which lies dry for years and then curiously fills up with water. 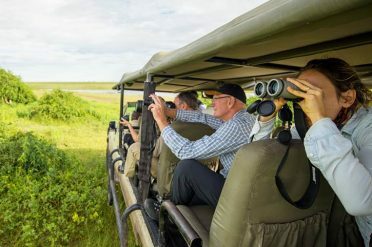 This is a rich wildlife area with Africa’s second largest zebra migration passing through and the famous ‘Marsh Pride’ of lions calling it home turf. 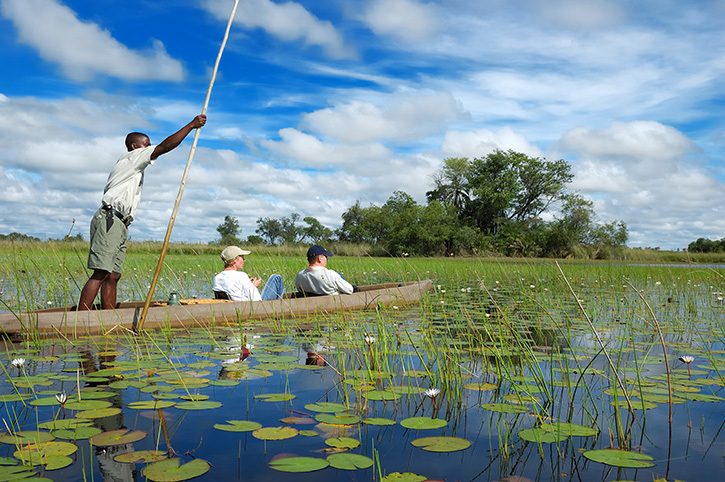 Situated in the North of the country the Okavango is the largest inland river delta in the world. 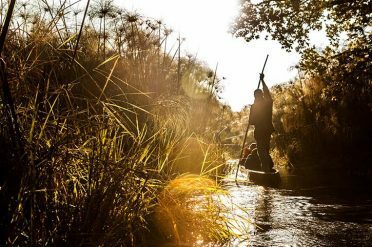 A pristine watery wilderness of rivers, islands and lagoons formed as the Okavango River fans out across the desert. 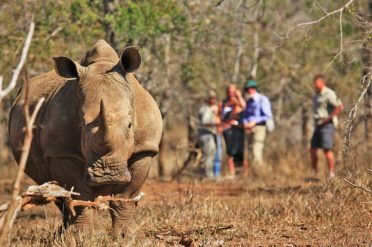 All the wildlife imaginable can be found here including the ‘Big 5’, hippos, crocodiles, prolific birdlife as well as endangered species such as the African wild dog. 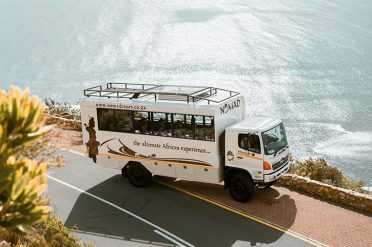 Safaris are typically taken by makoro (dugout canoe) with shore excursions on foot, whilst some lodges also offer 4 wheel drive options. 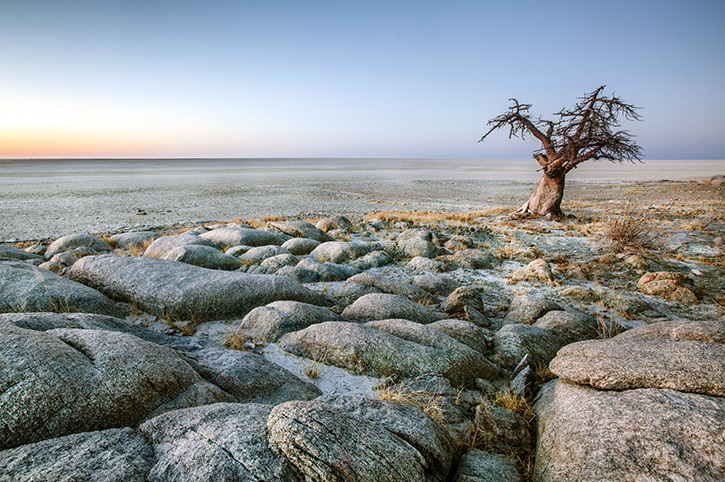 This vast area of semi arid grassland and salt pans, provides a great contrast to other parks. 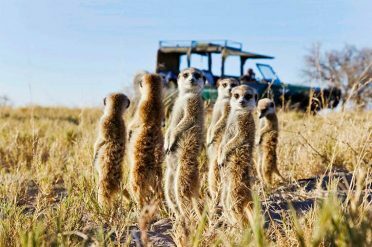 The wet season witnesses the wildebeest and zebra migration whilst dry season activities centre around guided walks with San Bushmen, quad biking across the salt flats and observing resident meerkats at close quarters. Look out too for the famous babobab trees. 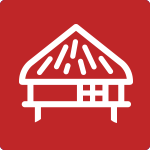 For a selection of our lodges and camps in the Parks and Reserves please click here. 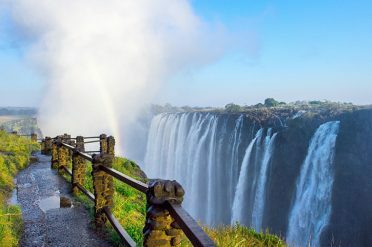 Our Africa Destination Experts have travelled all over Botswana and Africa and can help plan and create an unforgettable holiday with our range of action packed safaris and tours.